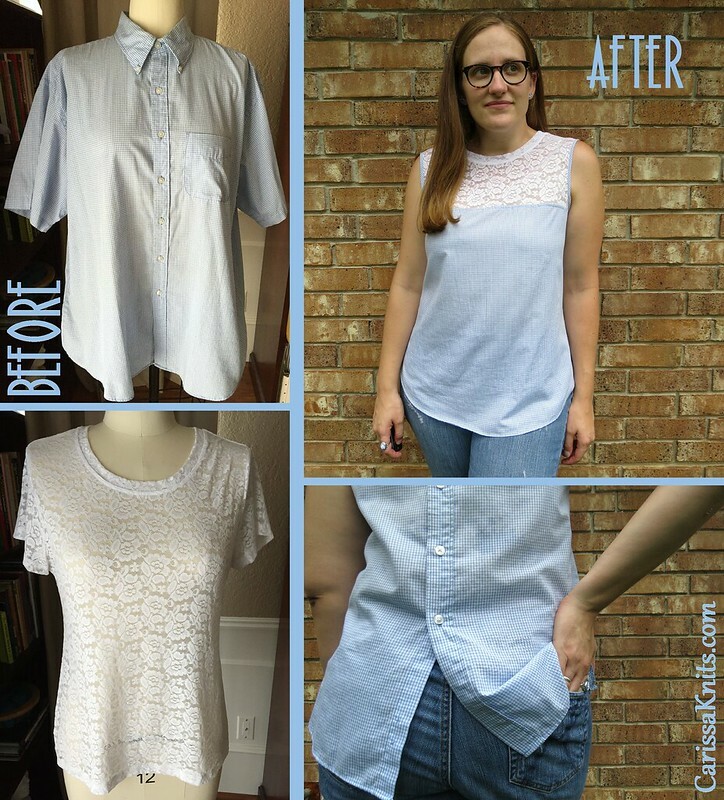 In honor of Father's Day today, I thought I would do a little refashion using a men's dress shirt. 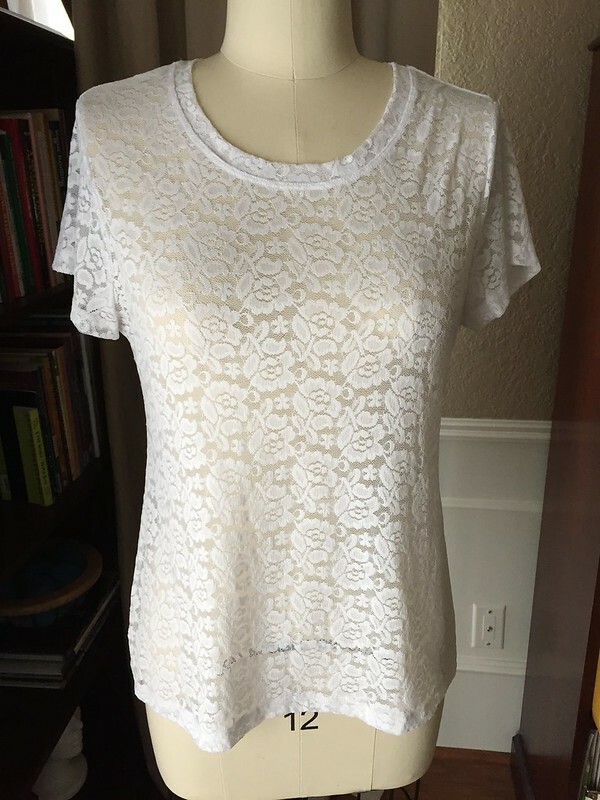 I didn't want this to be just another men's shirt refashion, so I also grabbed a lace tee I never wear. 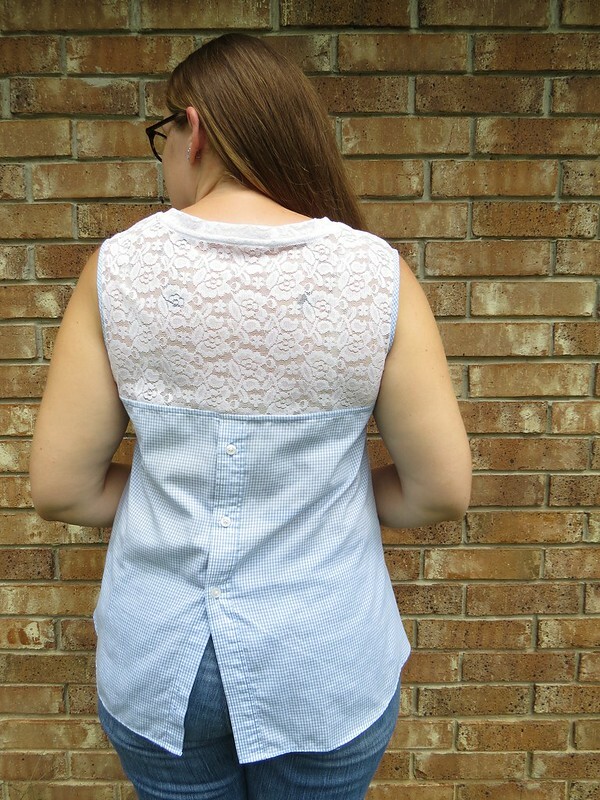 I used the top half of the lace tee and the bottom half of the men's shirt, but turned around backward so the buttons are in the back now. I also cut strips from the remnants to make my own matching bias tape and used it to finish the armholes. 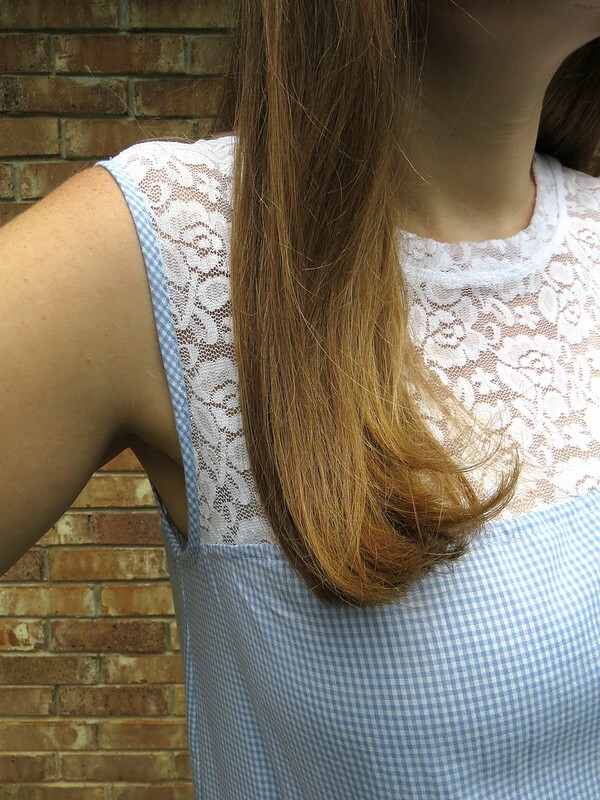 See the entire process, as well as lots more photos, at CarissaKnits! 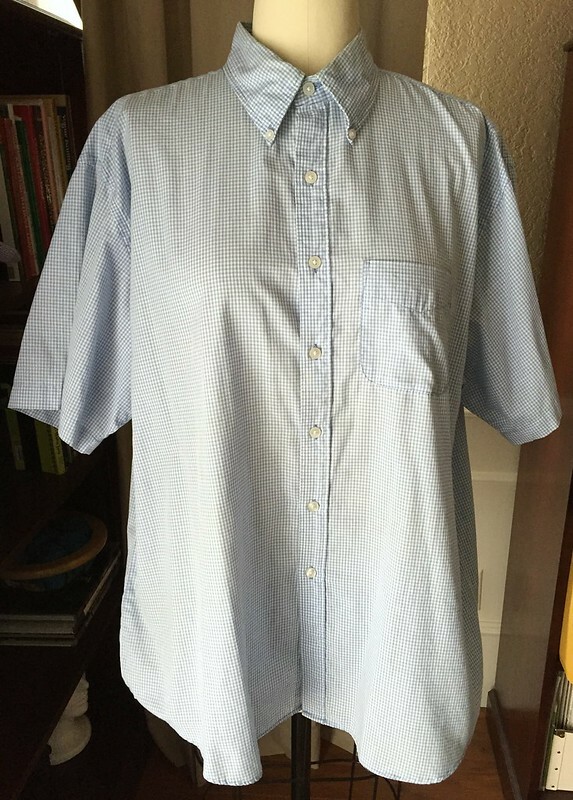 This looks really good, and your method eliminates all those awkward shoulder and armhole fitting issues that you get with men's shirts. Great job! 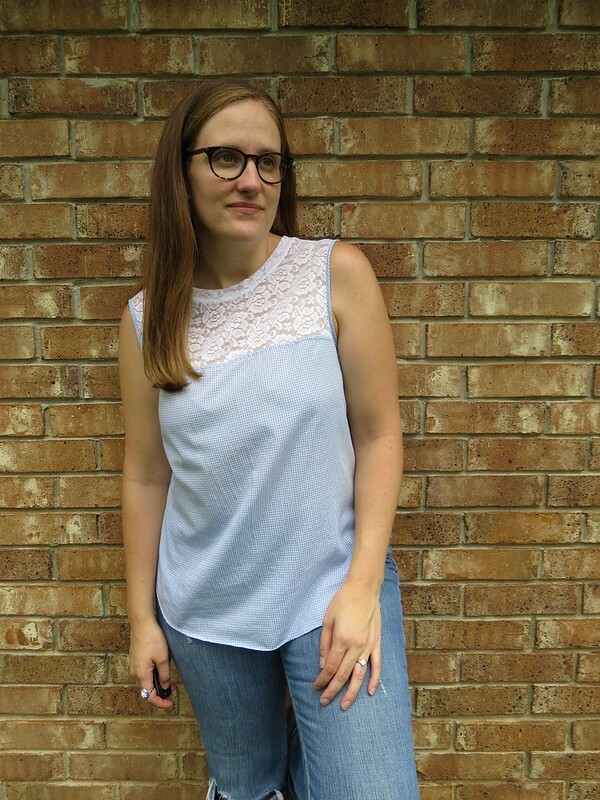 The bias tape on the armhole really make the top super special!